Your table will be served when all the table's guests have arrived. All That Jazz — is one of the Tubman Museum’s most popular events and its largest annual fundraiser. This signature black-tie event features a live concert by nationally-renowned musicians and performing artists, great food, and a special, after-concert Dance Party for sponsors hosted by Macon’s favorite video and dance king – AJ the DJ. The 2019 All That Jazz Concert and Ball is scheduled for Saturday, January 26 at the Macon Centreplex. 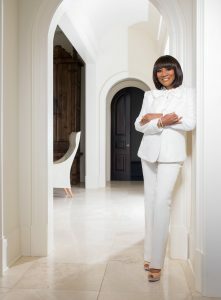 And our featured performer will be the acclaimed award-winning singer, songwriter, actress, and entrepreneur – Patti Labelle. Tickets for seats in the balcony for this concert will go on sale through Ticketmaster beginning June 29, and we expect the concert to be a sellout. To make your reservation, you have the option to make a deposit or to send the full amount for your table. The required reservation deposit for tables are $300 for Bronze tables, $500 for Silver, and $1,000 for Gold. Deposits will only be accepted until August 1 and your table location cannot be confirmed until we receive those funds. All tables on the floor must be paid for in full before October 1st or they will be released for resale. So, please make your reservation quickly to insure that you get a prime table location for what promises to be an unforgettable evening of music, dancing, food, and fun. 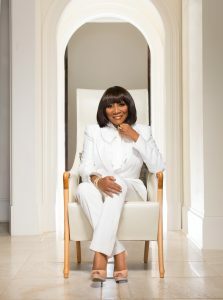 In addition to guaranteeing a wonderful evening of entertainment, sponsorship also helps provide support for a wide range of Tubman Museum educational programs, exhibits, events, and outreach initiatives that are making a positive difference in the lives and education of families and students throughout Middle Georgia. Information about event Sponsorships is below and the benefits and recognition you will receive for your support. If you have any questions or wish to make your reservation deposit or table purchase by phone, please call (478) 743-8544. We look forward to seeing you on January 26th for another incredible All That Jazz Concert and Ball. Following the entertainment and dinner, the fun continues with an after-concert dance party hosted by Central Georgia’s best-loved disc jockey — AJ The DJ. The After Party will be held in the Monument Room. A cash bar will be available. Information about event Sponsorships is below; All proceeds from the 23rd Annual All That Jazz Concert & Ball benefit the Tubman Museum’s educational and outreach programs. WHAT WILL MY SPONSORSHIP SUPPORT? Education & Outreach is the cornerstone of what the Tubman Museum of African American Art, History and Culture is all about. From our onsite tours, programs and workshops to the traveling exhibits, Outreach Teachers and artists we send to schools, after-school programs, and communities throughout Central Georgia, the Tubman Museum offers innovative and immersive learning experiences that are making a positive difference in the education and lives of children, students, and families. Your sponsorship of All That Jazz helps us not only sustain these programs, but also increase their reach and impact. As we have discovered over the last five years and numerous national studies have confirmed, arts education encourages children to express themselves creatively, increases their self-confidence, and improves their overall academic performance. At the Tubman Museum, we provide wonderful experiences, tours, exhibits, and programs on-site. But we also actively transport these resources, instruction, exhibits, and learning opportunities directly to the area schools, communities, and after-school programs that need them the most. Since we’ve opened our new museum in 2015, the opportunities for both onsite and outreach educational experiences have increased dramatically. WHAT ARE THE SPONSOR LEVELS AND WHAT DO THEY INCLUDE? Call the Tubman Museum at (478) 743-8544 to purchase your table now! Copyright ©2018 Tubman Museum. All Rights Reserved.